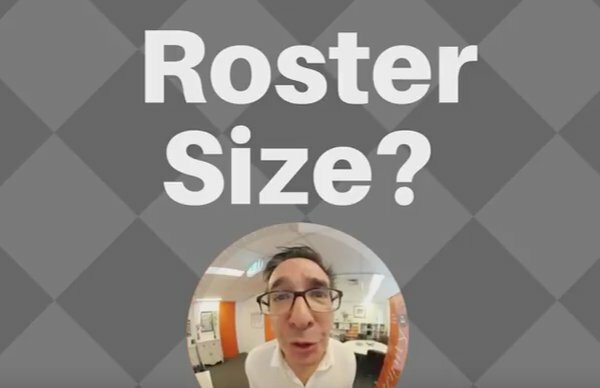 How many agencies is too many when it comes to roster size? This is the fourth in a series of one minute videos that address one of the many complex challenges facing marketing, media and advertising today. The Golden Minute series is an attempt to prove Albert Einstein right when he said “The definition of genius is taking the complex and making it simple”. But he also said “Everything should be made as simple as possible, but not simpler”. So we will leave it for you to judge. Please let us know here if there is a topic you would like us to cover in a Golden Minute. A very common complaint we hear is “How did I end up with so many agencies?” usually closely followed by the question “How many agencies should I have?” And while Nathan Hodges has answered this comprehensively here, it is interesting that marketers often find themselves with way too many agencies on their roster either because they have inherited a roster that is out of control or it has grown organically right under the nose of the marketing team. At the risk of being accused of being a typical consultant, it depends. But generally the size of the roster should be somewhere between one agency and the minimum number of agencies required to deliver all of the capabilities you need and no more. But the complication these days is that it is increasingly possible for marketers to bring many of the services and capabilities they have traditionally outsourced, in-house. This needs to be taken into consideration too. It is no longer enough to align your external; agency roster without carefully considering what capabilities should or are already in-house. One of the issues for the new CMO, Head of Marketing, Marketing Director, SVP of Marketing or General Manager of Marketing is that on appointment they will immediately meet with the core agencies, usually the media and creative agency. 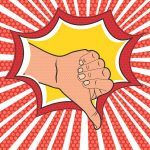 Often it may lead to a review or pitch to ensure it is the right agency and to put a stamp on the agency roster. The trouble is this is often cosmetic at best and the change can often cause issues in the overall roster. But a more important and effective approach is a review of the current marketing investment across the whole roster to determine if you have the roster aligned to your strategic requirements. Once the marketing strategy is agreed, the very next step should be to undertake this review. A new or revised marketing strategy becomes the catalyst for the roster review as often the requirements have changed, meaning that the existing roster may need redesigning or a total reconfiguration. In large and especially decentralised marketing structures it is common for the roster to grow organically and often to become bloated and difficult to manage. Usually the top tier agencies, creative and media, will be well ordered, but it is the specialist agencies and the smaller agencies that proliferate in the roster. This is usually because they are appointed to solve an immediate or short term problem such as a capability shortage or to overcome a lack of budget and so offer a lower cost option. Because the spend with these agencies is often relatively small it is likely it will go unnoticed by finance and procurement, where a threshold annual spend would trigger the supplier to be either competitively tendered or contracted. The danger is that without contracts in place these suppliers can potentially pose a risk to marketing and the organisation without the protection of the terms and conditions. 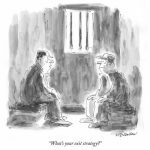 Beyond our strategic roster alignment process, which provides an alignment of the roster to the marketing strategy requirements, we have noted two main approaches to roster rationalisation. The first is to create “buckets” or capabilities and run tenders to fill these buckets with suitable agencies. The second is to split the roster and have the existing roster agencies (and sometimes other non-roster agencies) then tender for specific capability slots on the roster. These processes are often disruptive, time consuming and rarely deliver the long term solution required because the process does not address the underlying cause. They also rarely achieve an optimal structure. This is why when we first identified these roster issues more than a decade ago, we worked on developing a methodology that would achieve the desired results of eliminating duplication, gaps, bottlenecks and waste, more efficiently and with less disruption. We also found it important that the process use both a qualitative and quantitative approach to informing the roster structure and composition. Having now restructured agency rosters across a wide range of advertiser categories from automotive to retail and financial services to consumer packaged goods, it is clear the methodology consistently works, but that it rarely produces the same structure or composition, because every brand and every organisation has different circumstances, different strategies, and different requirements. How many agencies do you have on your roster? But how many is the right number you ask. Well some agencies will try to convince you it is one. But the fact is it depends on your strategy. You need as many agencies to have the capabilities needed and as few as possible to get the job done. How many agencies do you really need?